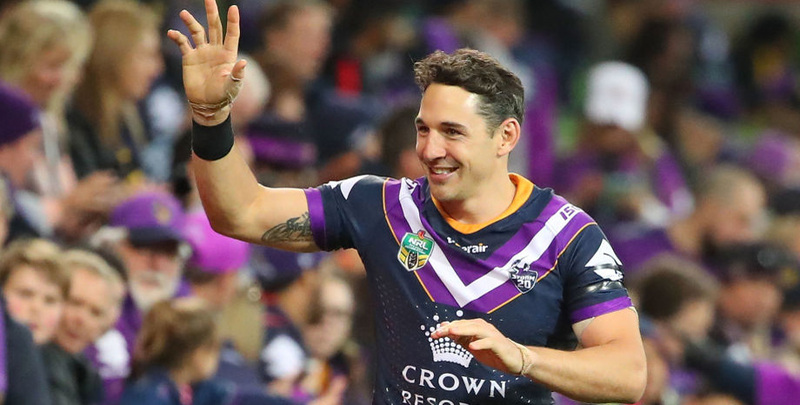 Melbourne Storm are fancied to become the first back-to-back Grand Final winners in the NRL era when taking on Sydney Roosters at ANZ Stadium on Sunday. Craig Bellamy’s side crushed North Queensland 34-6 in last year’s decider, having been edged out 14-12 by Cronulla in 2016, and are seeking a fifth success in 12 seasons. The Roosters also have plenty of pedigree, lifting the trophy in 2002 and 2013, as well as reaching four other finals, but Melbourne have more proven big-match winners in our book and get the nod at 18/25 as the first NRL Grand Final prediction. The Roosters just pipped the Storm to top spot in the regular season on points difference after both teams registered 16 wins in 24 games. In the play-offs, their stellar defence has come to the fore in a 21-12 defeat of Cronulla and a 12-4 triumph over Souths. Jake Friend was the NRL’s leading tackler this term and he epitomises a tireless work ethic. Going forward, powerful winger Blake Ferguson and elusive full-back James Tedesco can trouble any team, so this should be a competitive contest. However, star half-back Cooper Cronk picked up a shoulder injury in the semis and that could prove crucial. Looking at the NRL Grand Final odds, we like 19/10 for Melbourne to win by 1-12 points. Melbourne prevailed 9-8 when these teams met in round 16 at the end of June and have won the last four head-to-head encounters, although two of those triumphs were also by tight margins. That uncanny knack of shading tight contests helped them beat the Rabbitohs 29-28 in the play-offs, before Cronulla were crushed 22-6 last weekend. Legendary full-back Billy Slater was the star of that show with two tries and thankfully avoided suspension for a shoulder charge. Slater will play the last match of his incredible career this weekend and could yet be followed into retirement by fellow modern-day great Cameron Smith. That duo always seem to shine on the big occasions, while in addition to their ultra-reliable consistency, the Storm can boast a mercurial stand-off in Cameron Munster. In what is expected to be a tight tussle, Munster has the ability to provide moments of magic, so 16/1 for him to bag the opening try is worth adding to our NRL Grand Final betting tips.